The New Hampshire Summer Program is coming soon! Family and friends can order a package for their loved ones incarcerated in the New Hampshire Department of Corrections. 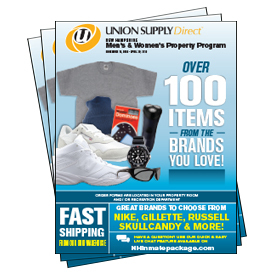 Inmate packages consist primarily of clothing, athletic shoes and much more. The items presented on this website are pre-approved by the New Hampshire Department of Corrections so you can shop with the assurance that everything we make available is approved. Please see the Rules and Regulations or FAQ sections for more information on Inmate Packages. New Hampshire Department of Corrections requires that the purchaser provides their full name when placing an order. If you do not provide your full name the prison has the right to refuse your package and return it for refund.